Ann Arbor’s Skyline High School Theater will present Jim Leonard’s haunting play, “The Diviners” on March 24, 25 and 26. 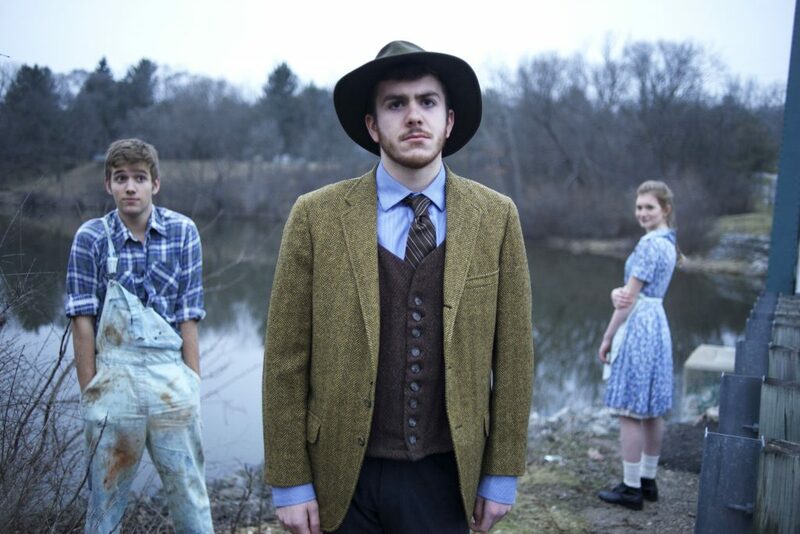 Winner of the American College Theatre Festival, “The Diviners” is a moving story about a disturbed young boy and his relationship with a conflicted former preacher at a time when water and faith were in short supply. The play takes place in southern Indiana during the Depression era as the charismatic CC Showers drifts into town and meets Buddy, a gentle but emotionally disturbed boy who is phobic of water yet has the gift of divining water. Buddy’s protective sister, Jennie Mae, is caught in the web of their friendship as she develops a crush on Showers. The three main characters help each other divine for truth and faith. As the townspeople try to force the preacher to return to a way of life he no longer believes in, CC, Buddy and Jennie Mae are pushed to tragic consequences. The play features Theo Billups as Showers; Isaac Mangold as Buddy; and Claire de Vries as Buddy’s sister, Jennie Mae. Theo, a Skyline senior, and Claire, a Skyline freshman, recently received superior ratings (the highest level) in acting at the Michigan Thespian Society State Festival. The play is the result of hundreds of hours of work by the student cast and crew. Show times are March 24 and 25 at 7:30 pm, and March 26 at 2:30 p.m. Ticket prices $10 for adults; and $8 for students and seniors. Tickets are available online at www.showtix4u.com and will also be available for purchase at the performances. Skyline High School is located at 2552 N Maple Road.